I have previously written about my feelings concerning the dangers associated with consuming Fluoride through drinking water. Many municipalities and bottled water companies in the United States routinely add Fluoride to drinking water under the false pretext that it prevents dental caries in human beings. While water fluoridation is not as common of a practice throughout portions of Europe, many provinces around the world also continue to add Fluoride to public water supplies. There is no evidence that adding Fluoride to drinking water benefits human physiology in any way whatsoever. There is, however extensive evidence that humans consuming this neurotoxin are doing damage to their overall health. Many proponents of this dangerous practice use the argument that in small doses, Fluoride added to drinking water has no adverse effects on human neurophysiology. This claim is not true because the neurotoxin, Fluoride accumulates in human bones and teeth. 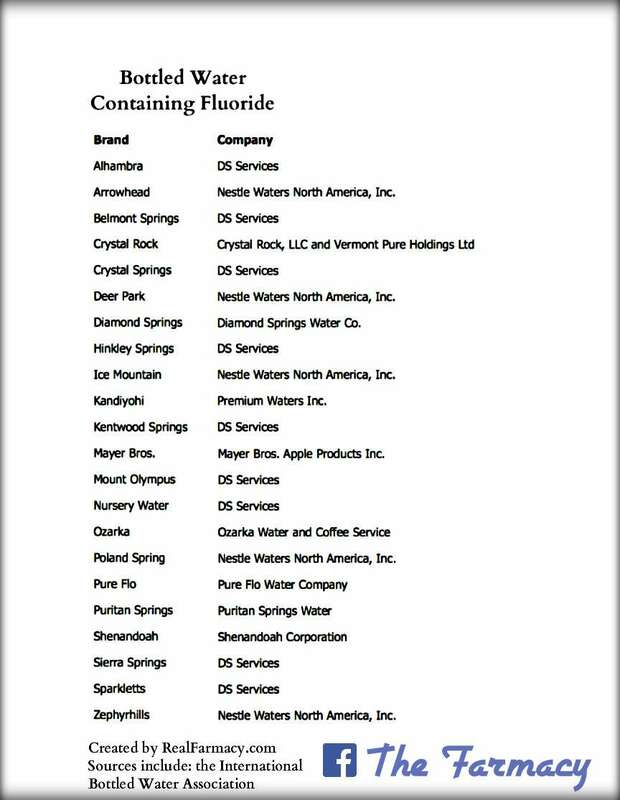 Fluoride is a toxic poison that also can accumulate in brain and nervous tissues over time (Pineal Gland). Fluoride is an industrial chemical known to cause developmental neurotoxicity in human beings. – (Source: The Lancet). Most toothpaste products contain the poison, Fluoride and thus a poison warning disclaimer is always printed on the product’s packaging. Remember, Fluoride accumulates in the human body so the argument that it is safe in small doses is illogical and untruthful.